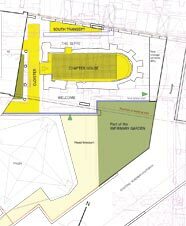 13 September 2012 – Merton Priory Latest Plans. 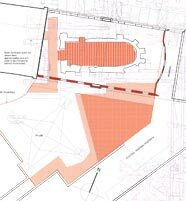 The aim of the Merton Priory project is ‘to establish and maintain in perpetuity an education centre on the site of the Chapter House of Merton Priory.’ A long term view. – education, scholarly, and web resources. – tidying up outside areas. – Friends database of over 200 people. – opening discussion with Merton Coll Oxford, Notre Dame University and local schools..
– the plans for the priory – concentrating on the physical capital works. – where we are with delivering them. – Merton Priory remains in purple and the precinct wall fragments. – the orientation of Merton Priory and its placement. None of the modern buildings follow the Priory geometry. We have identified a phase 1 to be carried out over the next 5 years. – site wide signage and interpretaion. The north wall and the area of the church will be left for a later phase. 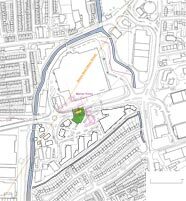 Ownership of the site is now with LB Merton, together with section 106 monies of about £400k. Phase 1C the community garden. Phase 1A is likely to cost about £280-300K and be delivered 2014. LB Merton are to be lead partners with MPT acting as agents. It will be funded 20/80% between S106 and HLF. that is approx. £80K from section 106 and £200K from HLF Living Wandle bid. – other smaller grants with the work in phases. The aim is to achieve 20/80 leverage for all S106 monies.